Ink that Represents Value….Captain Cartridge. There is a lot more to ink and toner cartridges than just putting a cartridge in and off it goes. Does the cartridge have the correct ink for your model of printer? Are they high yield? (more than equivalent Original Brands). Will the ink cause damage to your printhead or lessen the life of your printer? And of course, are you saving money? the reason you are searching the internet in the first place. Welcome to Captain Cartridge, home of the best value printer cartridges in Australia. Notice we didn’t say “cheapest”…that’s because the cheapest products will cause you (and us) problems and don’t represent the best value, but we do have the “Best Prices” for a high quality product and offer free delivery. Captain Cartridge has been in the printer cartridge business since 1999 and we have learned (sometimes the hard way) that going cheap does not pay. We had one supplier with an 80% failure rate, yes… you read right, only 2 out of 10 of their cartridges did not receive a complaint. At least one other online supplier still sells them!! We will not supply Q image or Q jet cartridges for that reason, we also steer clear of Print zone. The boxes with a tiger on the box are probably the worst of the lot from reports we have received from customers who have tried them. When you get phone calls or spam email from printer companies, they are usually the ones that will rip you off the most. We do not phone businesses or spam (we sometimes send “once only” targeted emails). The Captain Cartridge business name and clean reputation are our biggest assets and we will not risk either of them with cheap rubbish. Quality and service don’t happen by accident, we work hard to maintain our reputation. So if you are looking for value, you have come to the right place, Captain Cartridge. Our website, captaincartridge.com.au sells the Ausjet brand of cartridges wherever possible. Ausjet are based in Brisbane, they supply us with Premium Range of Compatible Laser Toner Cartridges and Remanufactured Laser Toner Cartridges. All of our laser cartridges have been pre-tested with state of the art equipment to Australian ISO 9000 conditions, using modern, clean manufacturing facilities. Most critical components are sourced from top of the line companies in the USA, Japan and Korea. Some of the many brand names our toner cartridges are compatible with are Canon, Epson, Brother, Lexmark, Kyocera, Dell, Fuji Xerox and Hewlett Packard (HP). Captain Cartridge also sells a wide variety of high quality inkjet cartridges for almost all brands of inkjet printers including: Canon, Epson, Brother and Hewlett Packard. Our Professional Colour Series cartridges are built with the highest quality components to ensure reliability and superb quality printing. There is no Chinese ink in these products, just high quality ink sourced from reputable companies in USA or Europe. So to start shopping click on the search box and type in your cartridge number or printer number. If your model does not appear, please send us an email. We continuously remove old products to ensure our site is clean and fast loading. Are you looking for Fast Ink Cartridge or Toner Cartridge delivery in the Brisbane to Gold Coast to Sunshine Coast regions? At Captain Cartridge, we have 3 pick ups per day from Brisbane. 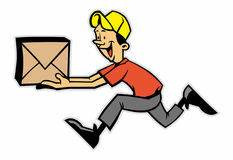 When we receive your order, we send it with the next available run. This enables an extra speedy delivery service if you have totally run out. (This is subject to availability and your location). On the Sunshine Coast we have several vehicles who can sometimes get your cartridge to you within 1/2 hour. This obviously depends on your location and our stock levels. If we have the ink or toner you need in stock, we will deliver it same day and can also offer an express delivery service between Caloundra and Maroochydore. All ink and toner cartridges supplied by Captain Cartridge are fully guaranteed. Many ink or toner cartridges are not able to be refilled successfully any more. Our ink and toner cartridges are a compatible brand with European ink, no Chinese ink. Our Genuine brand cartridges are supplied by an Australian company, this means your Australian printer guarantee is still intact, unlike with the “Grey imports”sometimes supplied by other unscrupulous online stores and call centres (click here to read more). We accept Visa, Mastercard American Express & Paypal through a secure payment site. Cant find your ink cartridge. Don’t worry, we only list the popular ones, that allows this site to load quickly. Contact us with details of your cartridge so we can send you a price and / or enter it on our site. Having a party around the Sunshine Coast? Go to www.wilddiamonds.com.au for unique and classy party entertainment. Planning a party in Brisbane? Go to www.funcas.com.au for unique top class party entertainment. We are happy to advertise our customers businesses on our site. If you are making sales, you will need ink so its a win win.